When you think of things that start with O, ostriches might not be the first thing that you think of, but this adorable O is for ostrich craft might just change your mind. Today, we are going to make an ostrich as one of our letter O craft. This craft combines several materials, making it a fun 3D and multimedia project for kids. 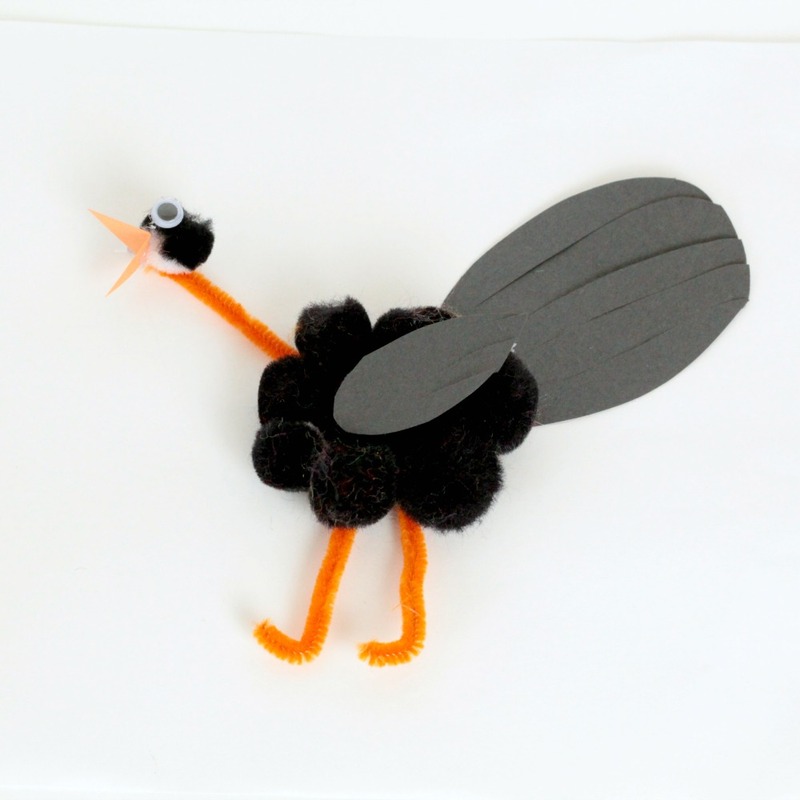 This ostrich craft uses pom poms, paper, pipe cleaners, and googly eyes to create a fun ostrich that kids will have tons of fun playing with. 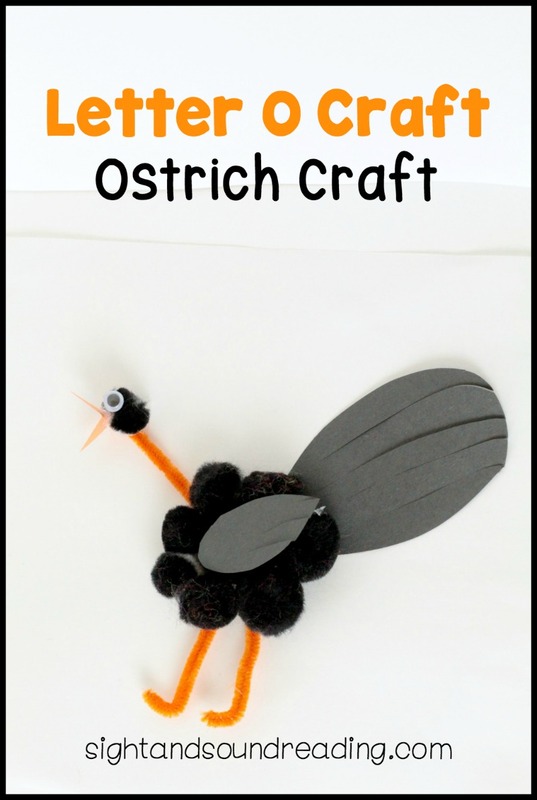 Follow these steps to make the O is for ostrich craft with your class or make it at home! Cut out a wing and tail for each ostrich from black paper. Cut two feet and a neck from an orange pipe cleaner, and cut a beak from orange paper. 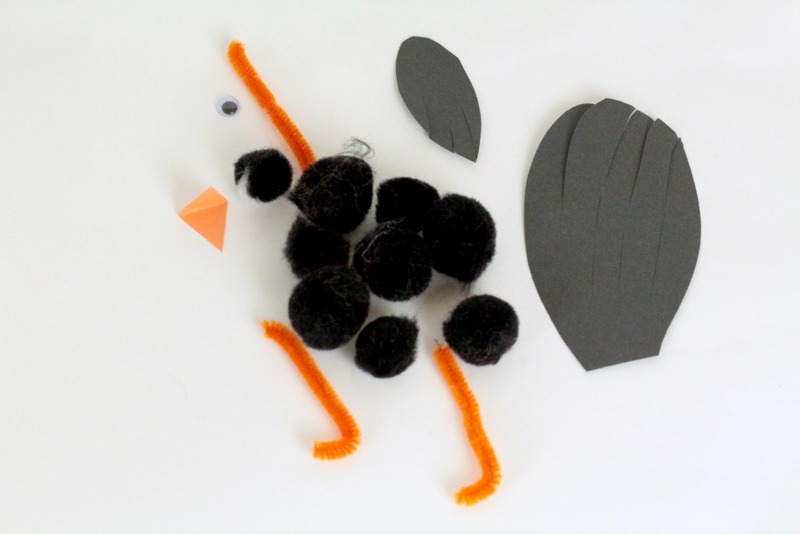 Give each child about 6 black pom poms to make the ostrich’s body and one for the head. Each child will also need a googly eye for their ostrich. 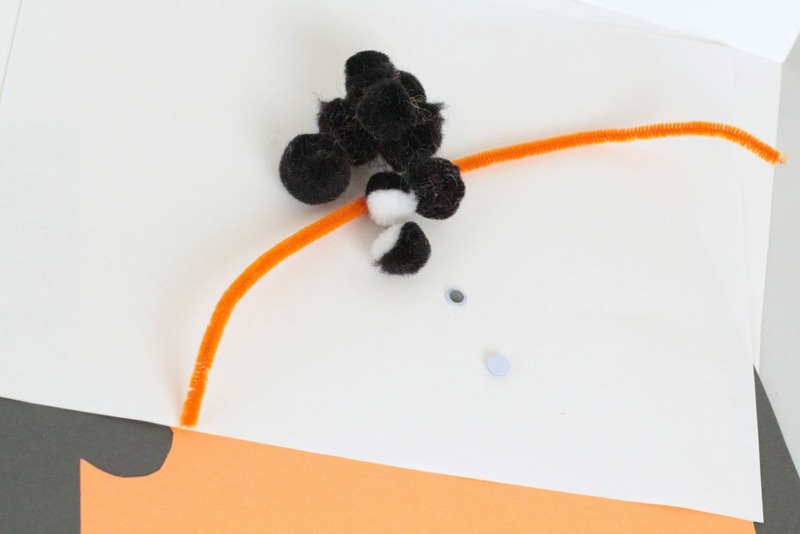 Arrange the pom poms in a body shape onto the white paper, reserving one for the head. Glue the pom poms to the paper. Glue the two legs under the pom pom body. Glue the neck to to the top of the body and use the last pom pom for a head. Glue the wing and tail to the body and give the ostrich a googly eye and beak. Don’t glue the entire pipe cleaner that is used as the neck to the paper. If it is left free, the ostrich’s head bounces around a little and is fun to play with! Kids will love that they can arrange the head into “classic” ostrich poses, including the head in the ground pose!